Next → Next post: Tram stop barriers – are they good design? I’ve had the same issue with Google Maps masking major road names. In one case, despite various zoom levels, the only way it would tell me the name of the road I wanted was to click on a property along the road, giving the address. In terms of public transport info, you can select the “Transit” overlay in Google Maps, but alas, this only highlights tram lines currently. No idea what’s taking them so long to release Melbourne’s transit data. Yep, very annoying and very car centric. 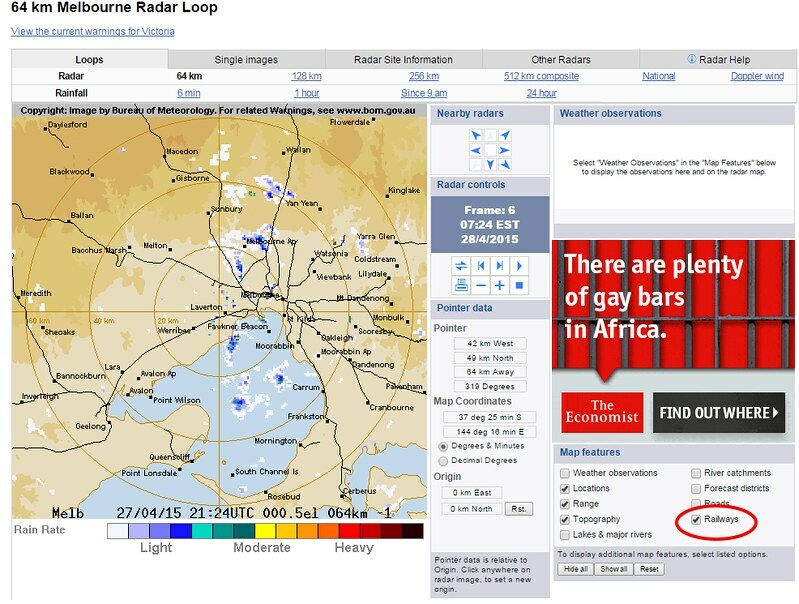 But where are all the gay bars in Africa? But back to the topic, Google Maps bugs me because it only gives my address as a state route, which absolutely no one recognises. They’ve just taken the US model of route numbers being more prominent than names and applied it to Australia. I agree about major road names not being shown. At times you have to drag the map such a distance to find the name of the road. Locally, I think the electric Melways does a better job of showing train lines and stations. As mentioned by James above, Google Maps does offer the Transit layer. Which depending on the city can be quite useful. – Sydney features only rail (heavy and light). – Adelaide shows rail (heavy and light), and bus also. It’s also of note that the lines appear to very in thickness to show (approximately) the level of service – a pretty good idea, and analogous to the prominence of different types of road (laneways thru freeways). Most people simply associate trains with blue, trams with green and buses with orange (and V/Line with purple, of course). But if that colour scheme was used, it would be fairly difficult to clearly see where individual lines/routes went without clicking on them. While a little clunky to use, the Lands Victoria interactive map (http://services.land.vic.gov.au/maps/interactive.jsp) does allow you to turn layers off and on. While I agree that Google maps could be better, and it would certainly be nice if they were, let’s not lose sight of the fact they’re free (although of course Google is making money in other ways). 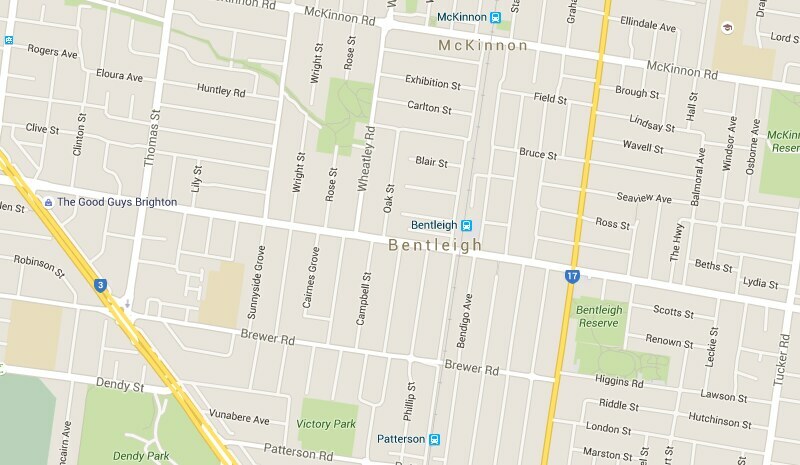 You can watch a visualization of Melbournes transport on this map. It is built by a student at the University of Freiburg, Germany, by using timetable data by Public Transport Victoria. Melways does not seem to have these problems but they were never that good on web services. @wxtre Thanks for that amazing link! I could watch this all day (and probably will, haha). Melway Online is interesting – Melway overlaying Google Maps. http://online.melway.com.au/melway/. Speaking of Melway, I’ve recently been given permission to include their maps in my BusFinder app. You can use it to show only the routes you want, on the map you want. I don’t currently highlight train tracks, but I like the way Melway shows them already, with the stylised red ovals for stations. I want to see a non-digital printed map to show public transport in the fore. Reverse of the line sizes. Have all roads marked only as very thin lines, and have railways done in bold lines. The same could be done with bold lines for rivers on the railway maps too.